I love when the blossoms start to fall and it looks like it's raining flowers. Lovely, Hanna, so fresh and happy! 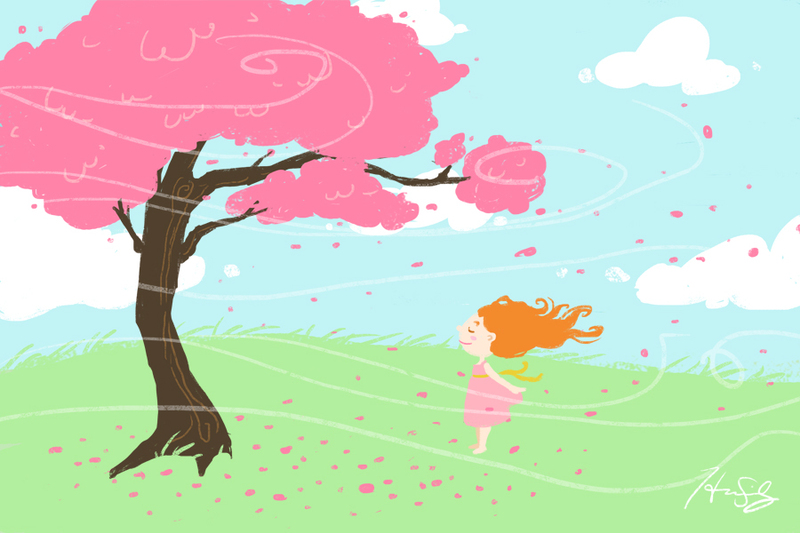 You really get the feel of how wonderful blossoms in the breeze is!